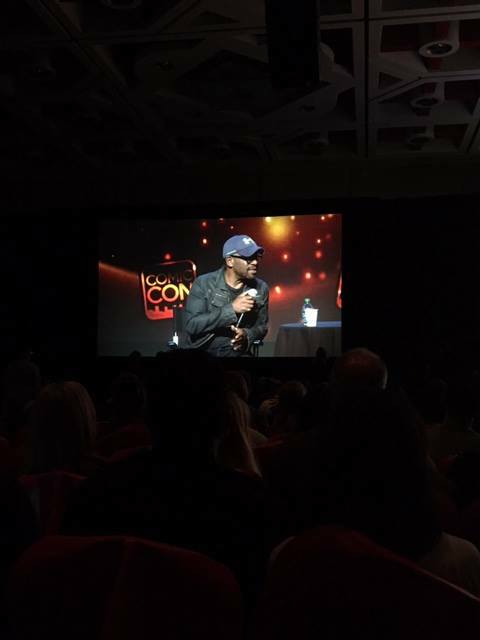 Latest news: Covers, Awards, Appearances, and more! The RESIST paperback has a cover and a release date! Coming July 2017 from Simon Pulse. Tada! I love it so much, and it goes so well with the first one. It's very exciting! 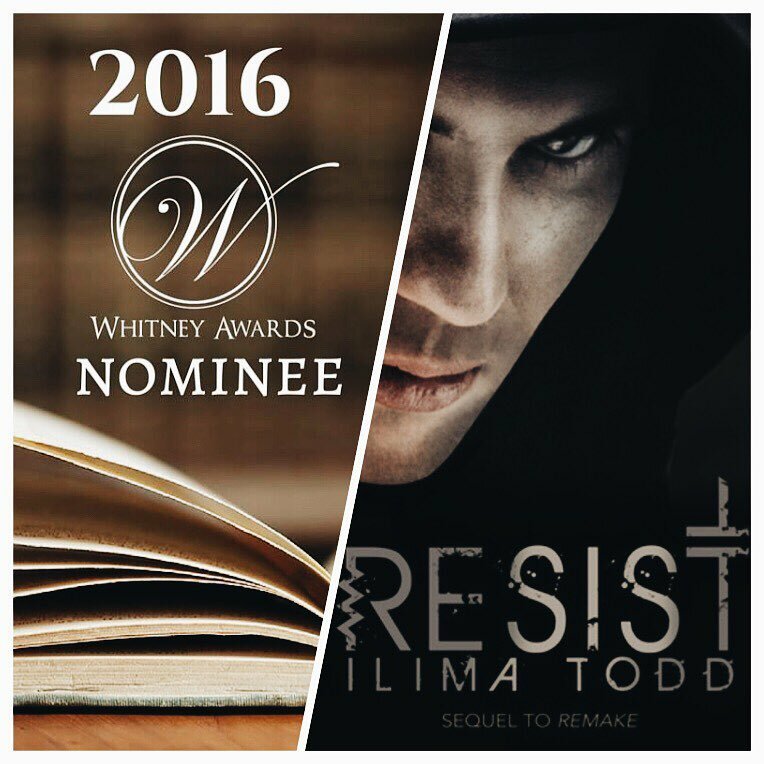 RESIST has also been nominated for a Whitney Award! 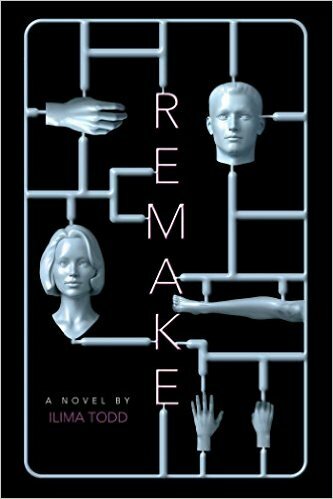 REMAKE became a finalist so I'm crossing my fingers that book two does well. 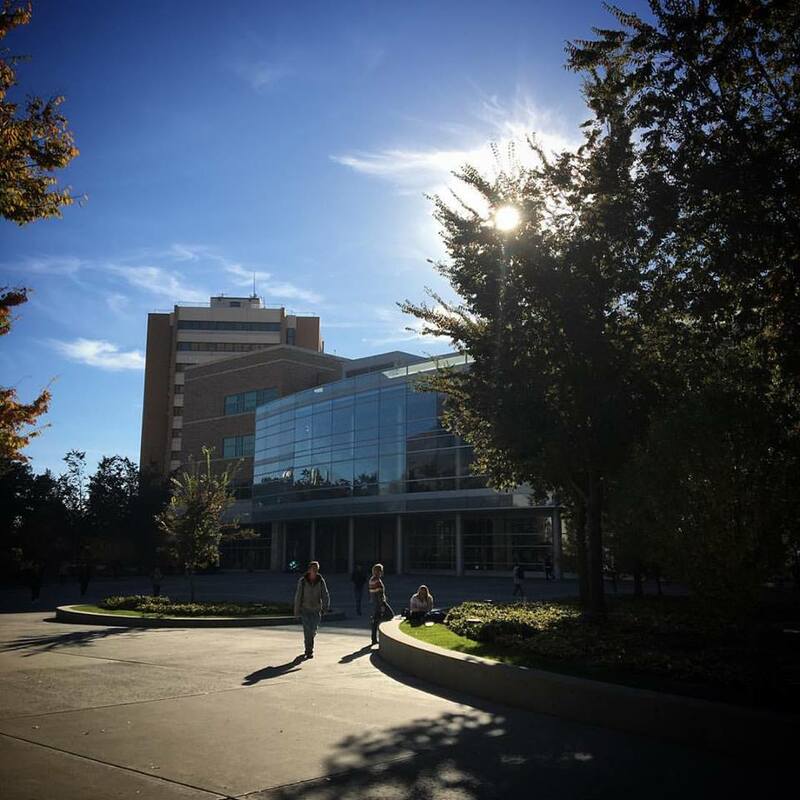 I was invited to give a guest lecture at BYU (my alma mater) on writing unputdownable stories. It was a wonderful experience and a joy to be back on campus. One of my favorite things is to speak to aspiring writers who share my love of stories. My son built us a Little Free Library! I've always wanted one and am so so thrilled. People have been stopping and trading books every day. So fun! 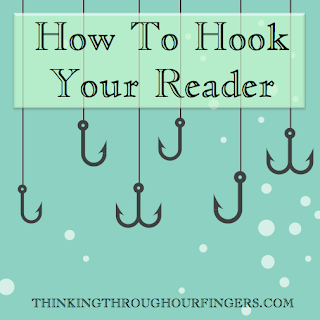 I have a guest post up on Thinking Through Our Fingers about writing compelling hooks. 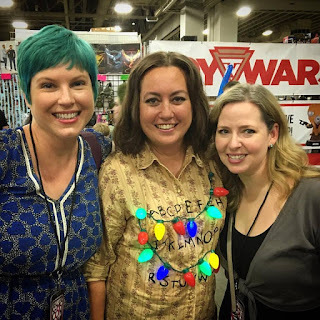 I wrote another guest post on Adventures in YA Publishing about finding your tribe. 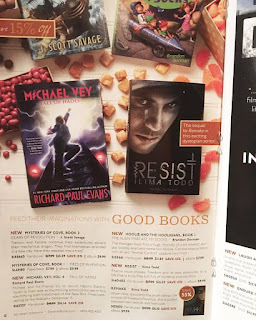 I spied RESIST in the Deseret Book catalogue. Cool! And of course I've been writing between everything else. Here are local authors around my dinner table getting their write on. I do have a couple of book signings coming up soon. 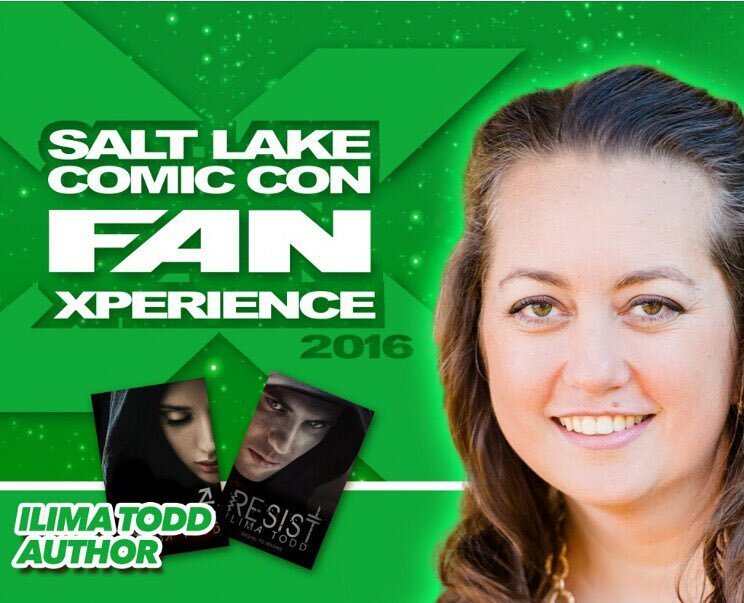 The first is on November 18, 7pm at The Printed Garden in Sandy, UT for a reading, Q&A and signing for RESIST. 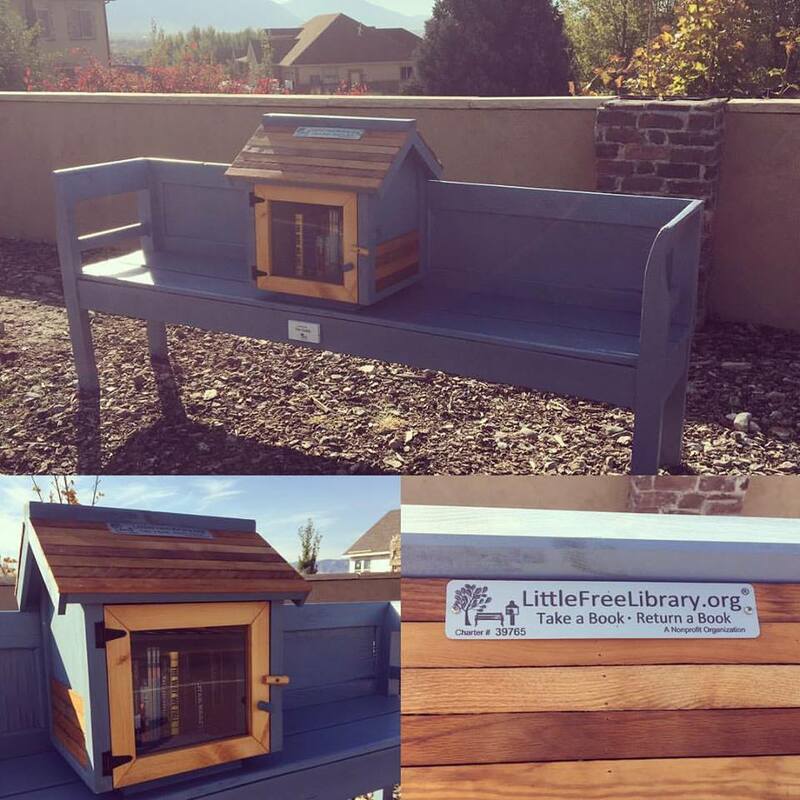 The second is November 22, 7pm at the Holladay Public Library, UT. 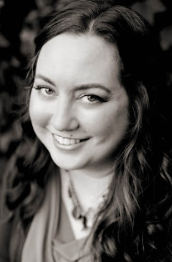 This free event is called "Apple Pie With Authors." 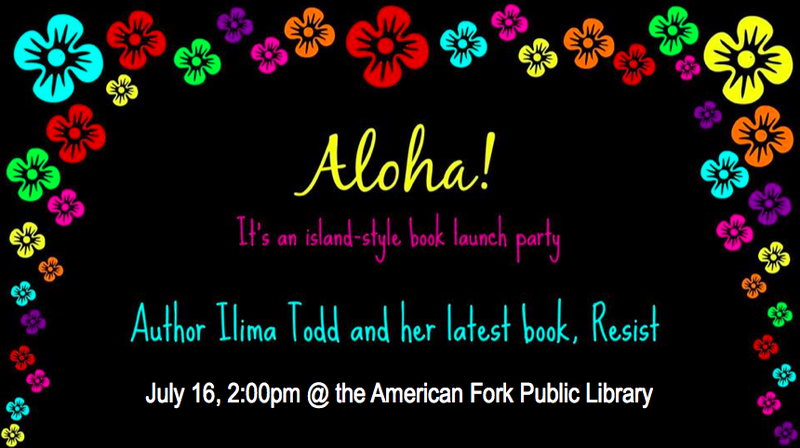 Guests can grab a piece of complementary apple pie and join an informal discussion with authors Tess Hilmo, Bobbie Pyron, Carol Lynch Williams, and me. :) We'll be talking about our newest books and answering your questions about writing, publishing, and pretty much anything else you'd like to talk about! And possibly the neatest thing that has happened to me lately: a couple of weeks ago we had solar panels installed on my house. The solar company also came inside to replace all of our light bulbs with energy-saving LED lights. 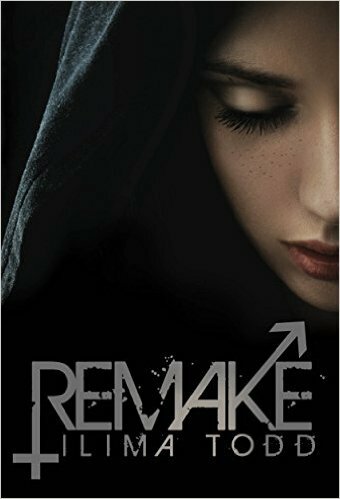 When one of the installers walked into my writing office to change the bulbs, she saw a couple of shelves filled with my author copies of REMAKE and RESIST. When she realized I was the author, she totally started fan-girling. She couldn't believe I wrote those books she'd read and loved, and that she was actually standing in the room where I wrote them. That was a surreal experience for sure! While I post updates on this blog periodically, you can get more timely info by following me on Twitter or Instagram. Both accounts are @ilimaktodd. 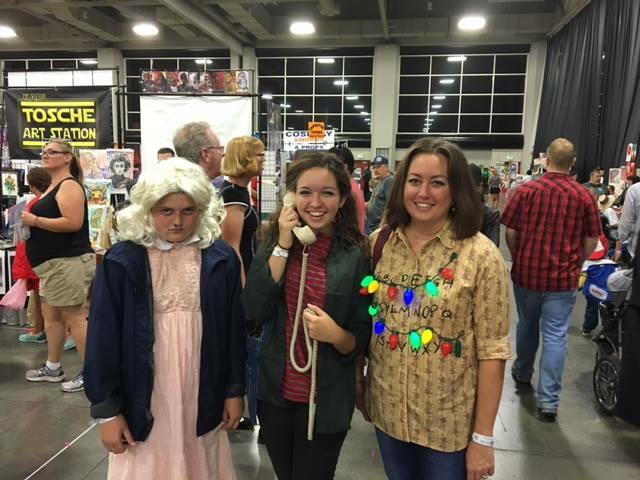 I had a blast last weekend at Salt Lake Comic Con. It is always such a fun event, and I am always exhausted by the end of those three days, ha! 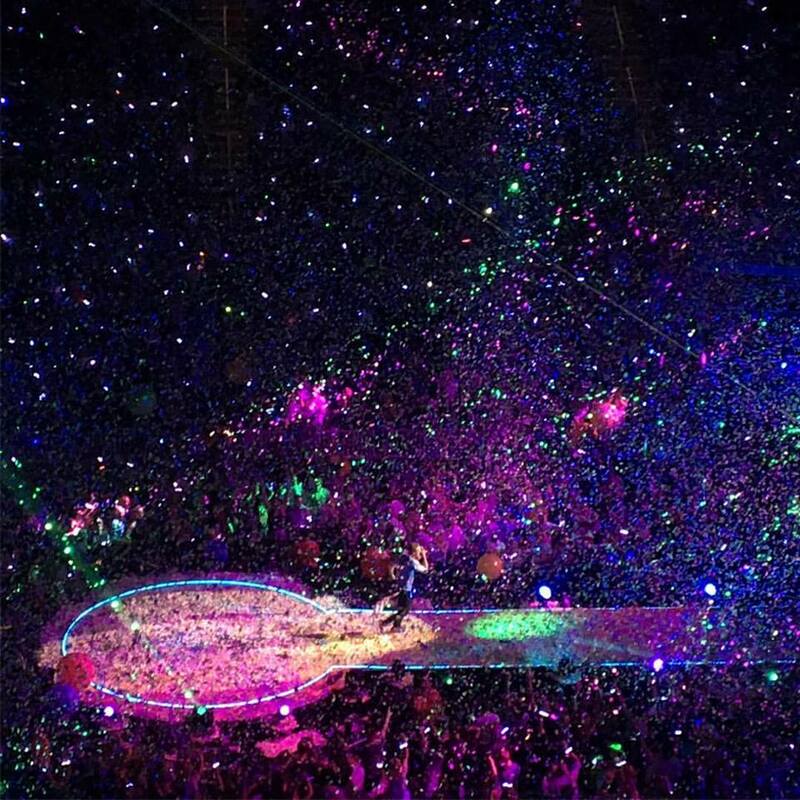 I got to see Coldplay in concert the night before Comic Con started. Lennie James has the most dreamy British accent. I could listen to him talk forever about upcoming Walking Dead teasers. to remember how good it was. 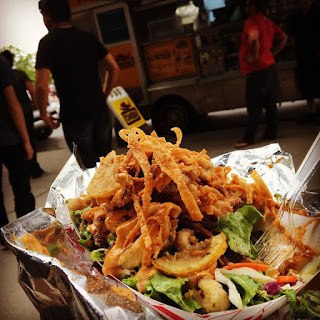 And this calamari salad from a food truck outside the convention was AMAZING. 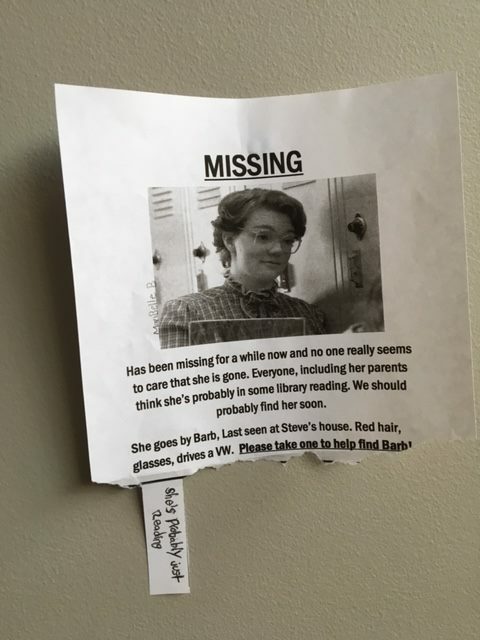 If you're a Stranger Things fan you'll get this one. 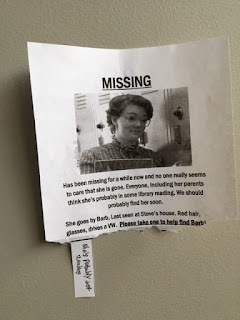 We found this just randomly hanging on the wall. 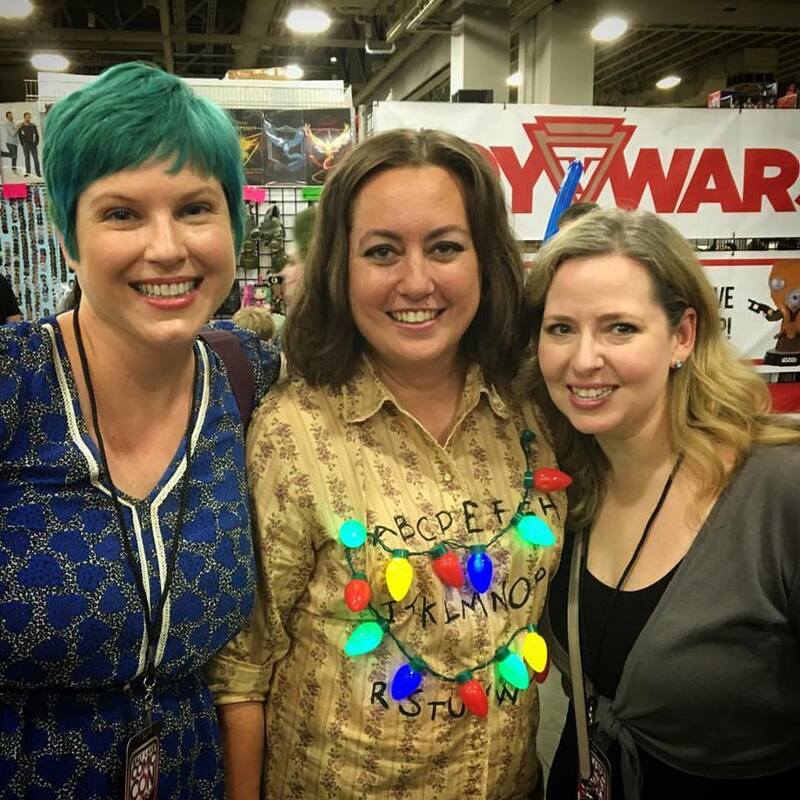 It's Theron on display at the Shadow Mountain Booth! I got to do a couple of book signings during the con. I love getting to talk to fans about my books. 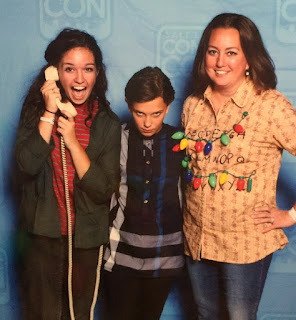 My daughter Emma dressed up as Joyce Byers to go along with my Wall costume. Here we are with one of the many Elevens we saw during the event. Had to snap a picture of my favorite cosplay. 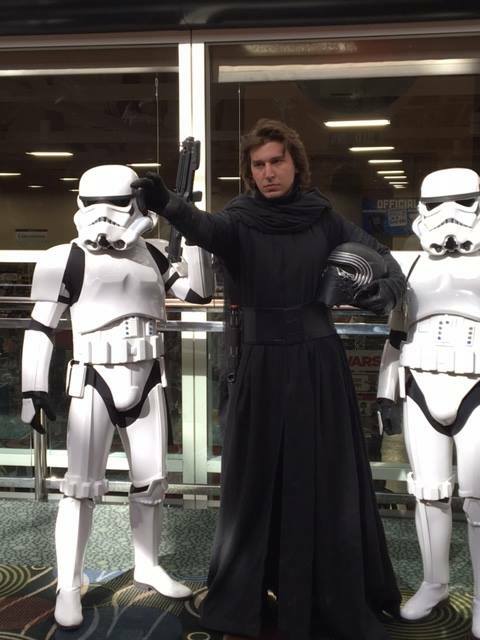 Doesn't this guy look so much like Kylo Ren? 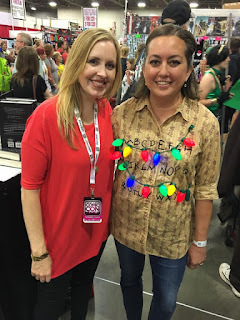 I got to meet and talk to Gwenda Bond and Ally Carter! and they both adored my Stranger Things cosplay. Me and my gorgeous crit partner and friend, Kathryn Purdie. We got to meet Millie Bobby Brown who plays Eleven on Stranger Things. and helping Emma figure out how to hold her phone for the pic. On a panel with fellow creatives talking about the importance of support systems. and he was sitting right next to me on the panel. So neat to be surrounded by such amazing talent. After a whirlwind week I am off for a whirlwind trip to the Mediterranean, starting with Barcelona! I can't wait! 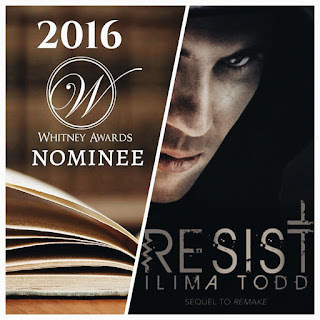 There's a giveaway happening right now on Emily King's blog for a signed copy of RESIST. Check it out! Launch Party and July Recap! 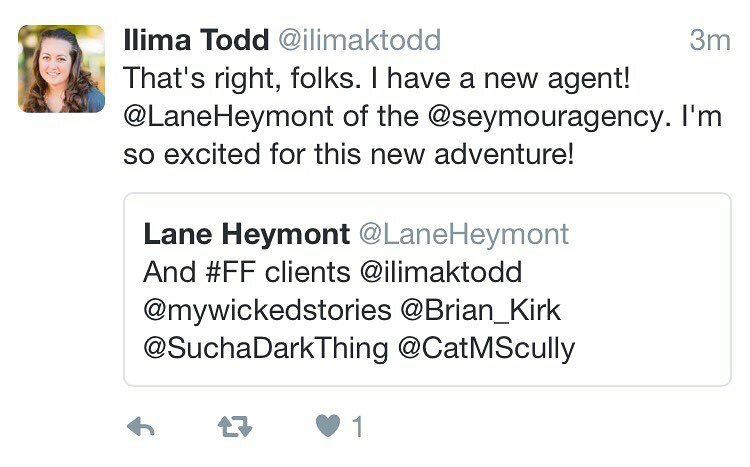 I have a new agent! After querying a new project and receiving a few offers of representation, I decided to sign with Lane Heymont of The Seymour Agency. I'm super excited to work with him and see where this new adventure will take us. Yay! 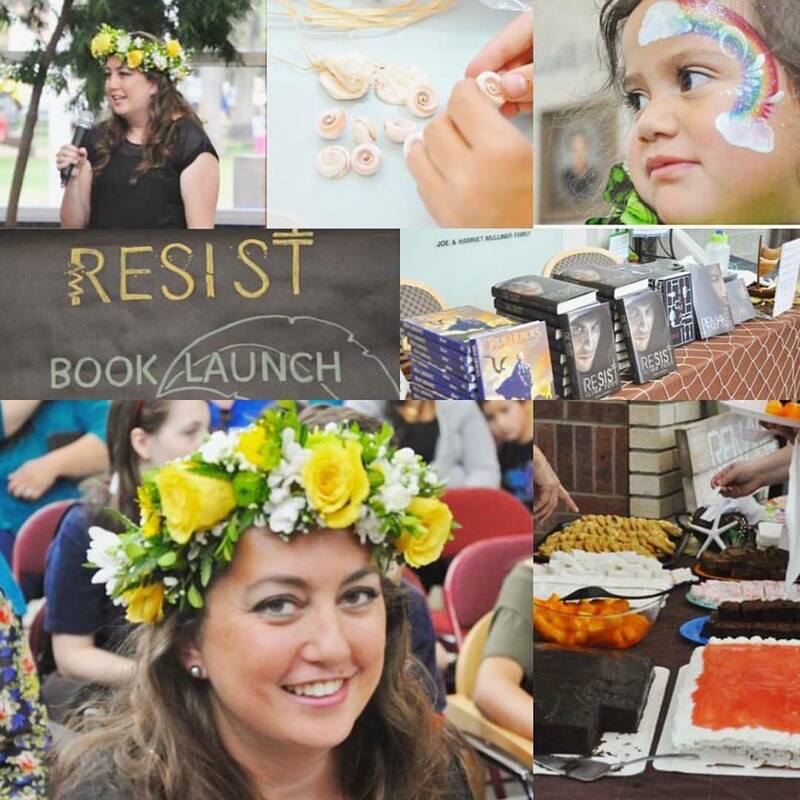 The RESIST launch party was a huge success. We had a great crowd, live entertainment, delicious food, face painting, crafts and games for the kids, and a fun photo booth to capture it all. And my sister-in-law surprised me with a gorgeous haku lei. I'm so grateful to everyone who came out to support me. It was a day I will never forget! You can see all the photos from the event here. 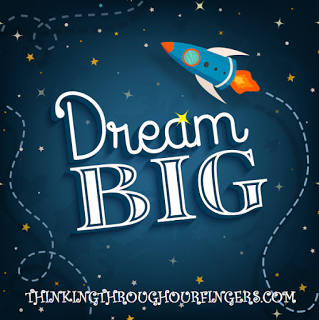 I have a blogpost up on Thinking Through Our Fingers that is really a miniature version of what I talked about at the launch party. So if you missed it, you can read it here. 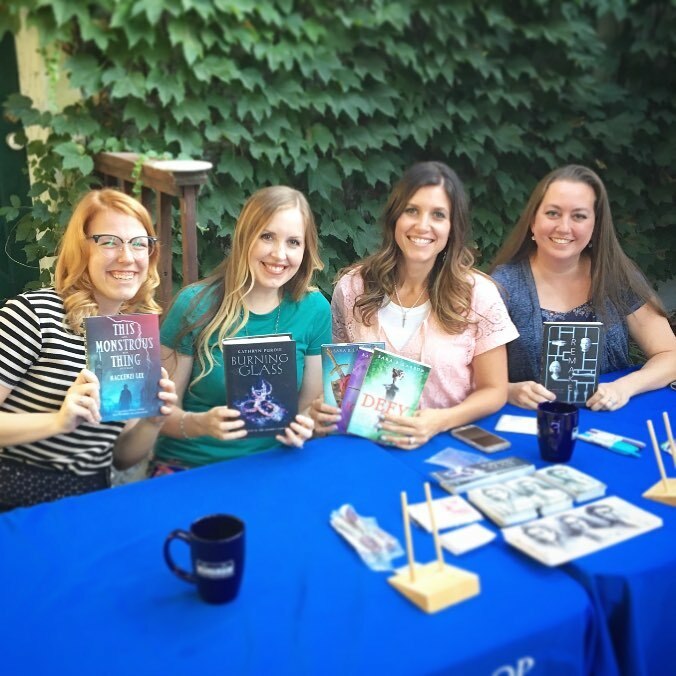 I got to talk on a panel and sign books with these lovely YA authors (L to R Mackenzi Lee, Kathryn Purdie, and Sara Larson) at my favorite bookstore, The King's English. It was like 97 degrees outside but so many readers came out to support us anyway. Thank you! RESIST was in the local newspaper. It was such a fun surprise! Thanks to friends who cut out the article and sent it to me. Also, thanks to everyone taking pictures of Resist and the Remake paperback out in the wild. 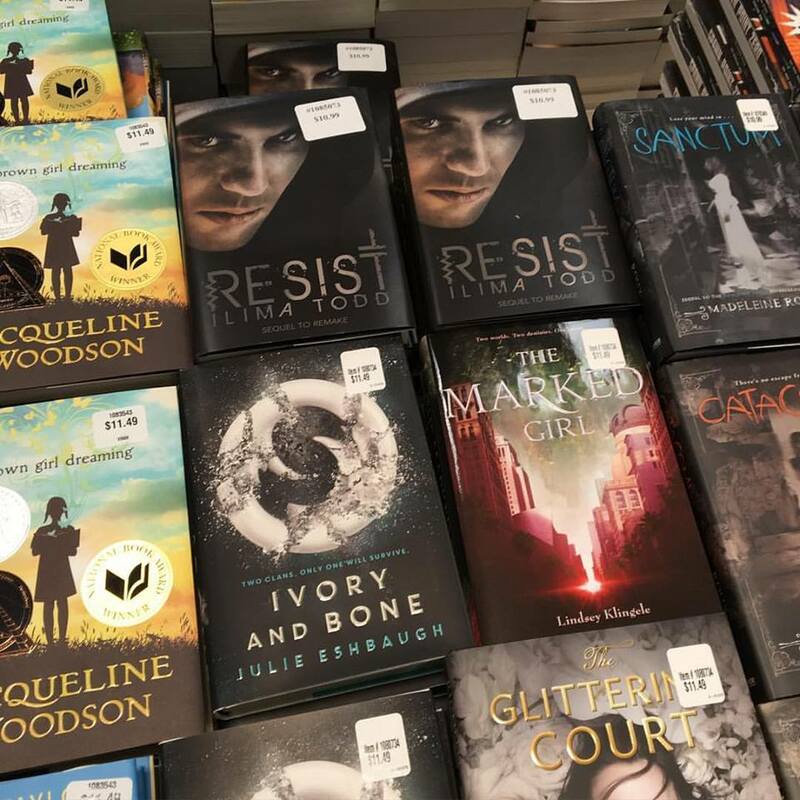 It's so fun to see my books on shelves all over the country! I've already received many emails from fans who are loving book two in this series, and I couldn't be more grateful for everyone who has taken the time to purchase and read it. Thank you thank you! P.S. If you haven't seen "A Girl Like Her" on Netflix, I HIGHLY recommend it. So so good. I hope everyone had a great 4th of July! 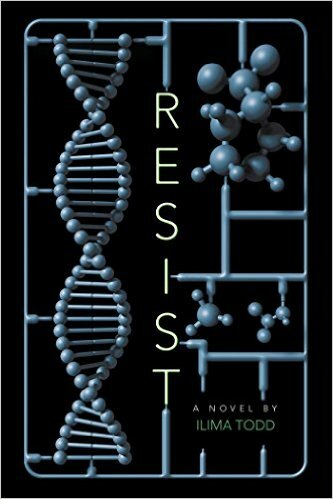 The timing is perfect, because today RESIST (sequel to Remake) is officially out in the world. What better time is there to head back to Freedom Province? :) The hardcover is beautiful, and it's available as an ebook and audiobook as well. I'm so glad I finally get to share Theron's story with the world. Here's a little more about it along with a few purchase links. Having been rescued, Remade, and returned to Freedom, Theron must now face a life without Nine. Though he's chosen to be a healer, he uses all the vices Freedom affords to try and dull the pain of losing Nine. But he can't find the peace he so desperately needs. Until he meets Catcher, a man who shows him the dark truths behind Freedom's Batcher program. From him, Theron learns what it means to be a leader and a father. When he falls in love with a captured rebel named Pua, Theron must choose: Freedom and its easy pleasures, or a life that is truly free but full of hardships and decisions. 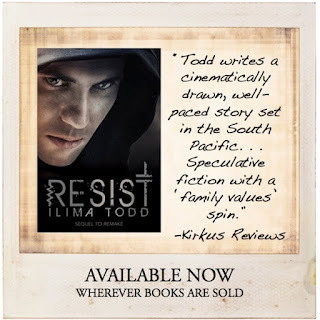 Find RESIST: Amazon, Barnes & Noble, Books-a-Million, IndieBound. As if that wasn't enough, REMAKE is available as a paperback today from Simon Pulse as well. It's a party all around! Here it is in all its beauty with more purchase links. When seventeen-year-old Nine realizes that the promised freedom of Remake Day is a lie, her courage, heart, and beliefs are put to the test as she fights to regain control of her future. Nine is the ninth female born in her batch of ten females and ten males. But Nine isn’t like every other batcher. She is worried about her upcoming Remake Day. That’s the day when she and the others in her batch will leave Freedom Province and fly to the Remake facility. There they can choose who—and what—they want to be. Everything from hair color to name to occupation to gender is theirs to select. Sounds perfect…but is it? When something goes terribly wrong, Nine discovers that everything she thought she knew to be true about life outside of the Freedom Providence is actually a lie. Things that she’d been told were bad can be good, and decisions that she thought were hers to make have already been made for her. Pulled between two worlds and two lives, Nine will have to decide what’s most important for her and her future. Her decisions will test her courage, her heart, and her beliefs. Who can she trust? Who does she love? And most importantly, who will she decide to be? Find REMAKE: Amazon, Barnes & Noble, Books-a-Million, IndieBound. 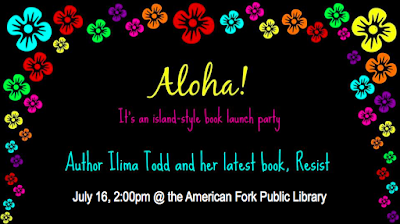 Don't forget I'll be at the American Fork Public library on the 16th at 2pm for the RESIST launch party. Everyone is invited to this free family event! There will be lots of giveaways, games, crafts, live entertainment, and desserts! Here's a link to the event page on Facebook. 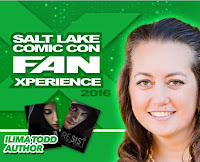 Also, I'm doing a YA panel and book signing on the 27th at The King's English in SLC with Mackenzi Lee, Sara Larson, and Kathryn Purdie. Hope to see some of you there! Event link. I hope you're having a great summer so far! Isn't it flying by so fast? 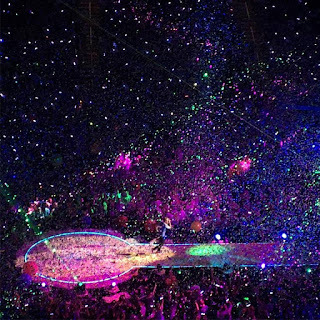 You taught me the courage of stars. 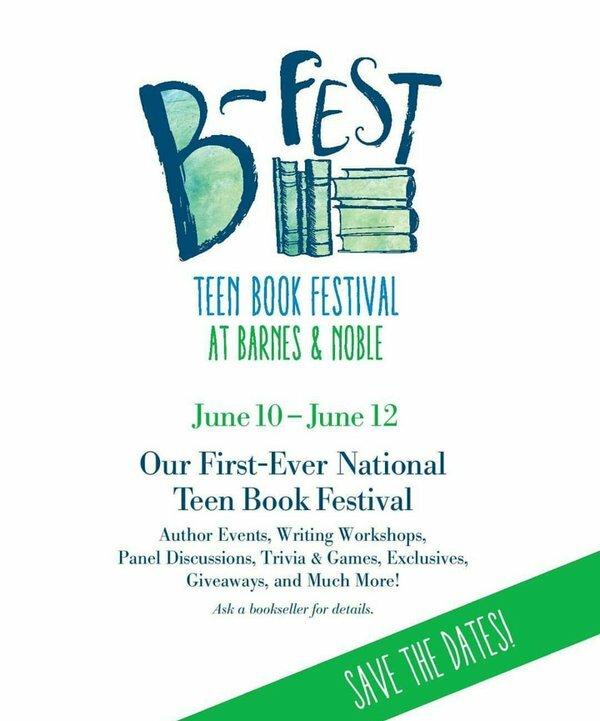 June10 @ 7:30pm--YA panel "That Time I Sucked" followed by a book signing at the Orem B&N as part of the Barnes & Noble National Teen Book Festival. 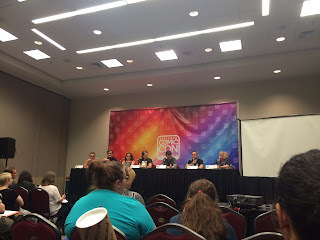 Other authors on the panel include Courtney Alameda, Kathryn Purdie, Sara B. Larson, and George Anthon Kibbie. 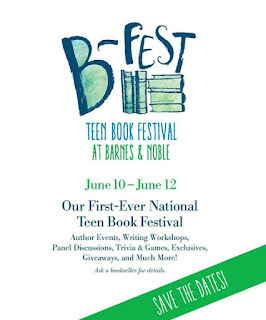 June 11 @ 3:00pm--Author visit and signing at the Bountiful B&N also part of their national B-Fest. 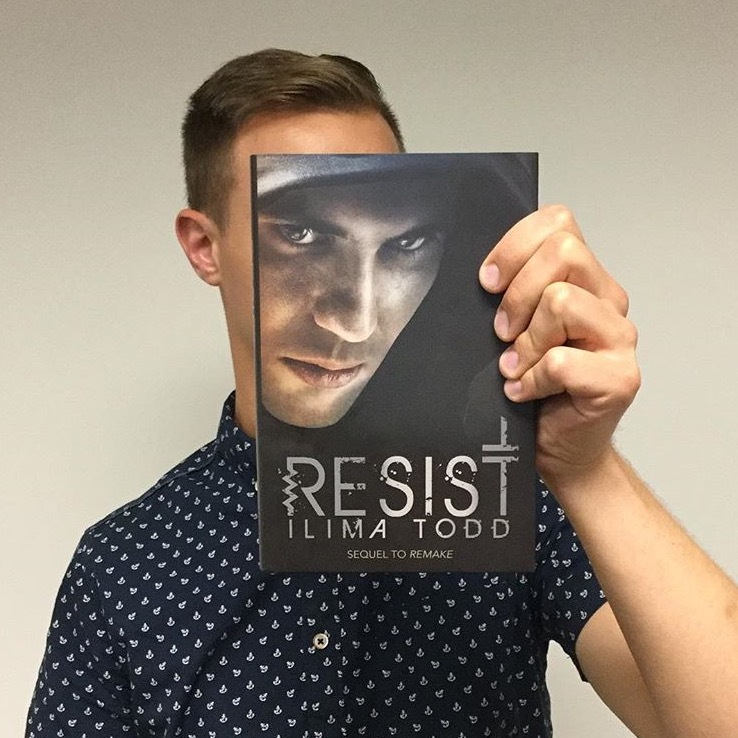 July 16 @ 2:00pm--Book launch event for RESIST at the American Fork Library. I'll have more details on this soon, but please mark your calendars as this event is going to be epic! July 27--YA panel at The King's English in SLC followed by a book signing with the authors of This Monstrous Thing, the Defy Series, and Burning Glass. 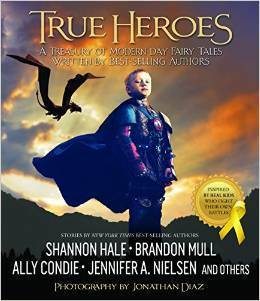 I'm also heading to Idaho Falls later this month with a number of authors to visit "Camp Magical Moments," a cancer camp for kids where I'll get to talk about writing for the TRUE HEROES anthology. I can't wait! Can you believe it? 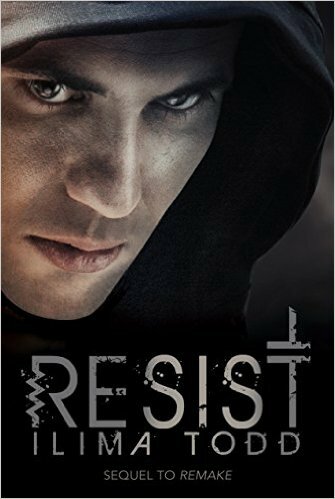 RESIST comes out in ONE MONTH along with the paperback version of REMAKE (July 5th release for both). I am so excited! 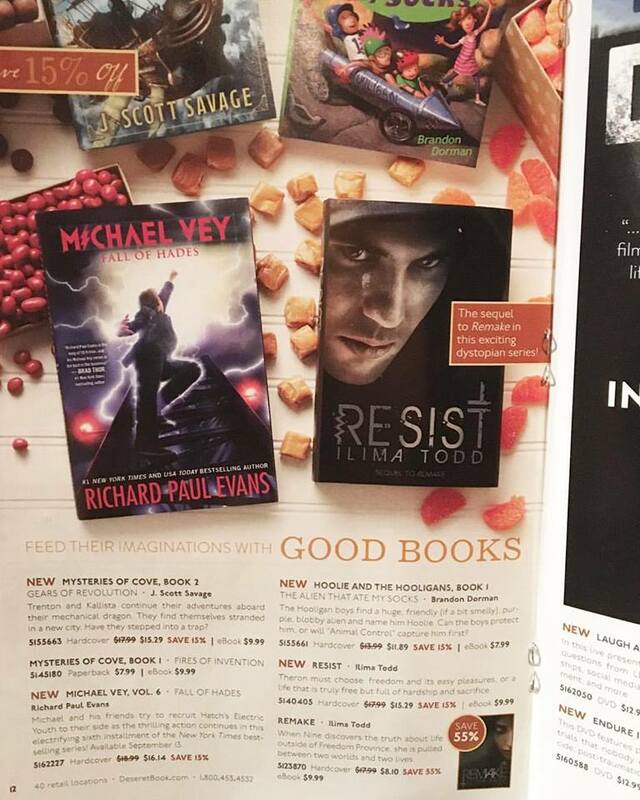 Also, I will be giving away an advance copy of RESIST at the June 10th B&N event, so if you're local, I hope to see you there! Swim with me, get to someplace better. Comic Con Recap and Giveaways! 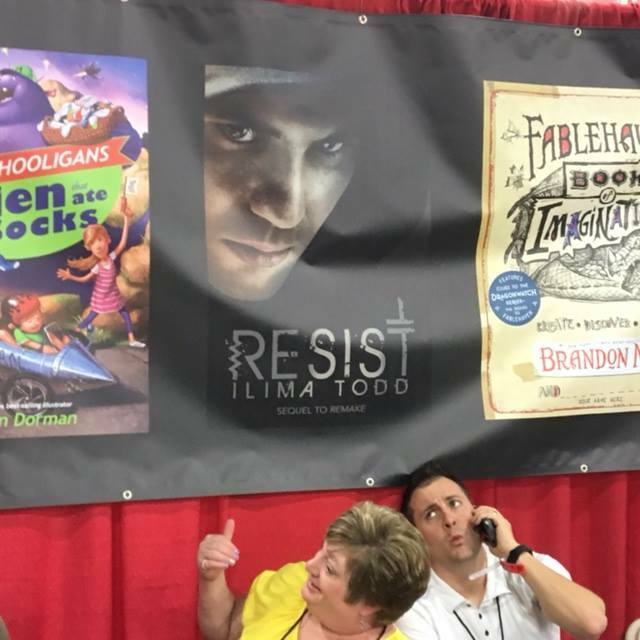 at the Shadow Mountain Booth. Mysteries of Cove and Fablehaven. At my first panel of the day: writing diversity. Also, my publisher is giving away FIVE copies of Resist on Goodreads right now. You have only a week to sign up. 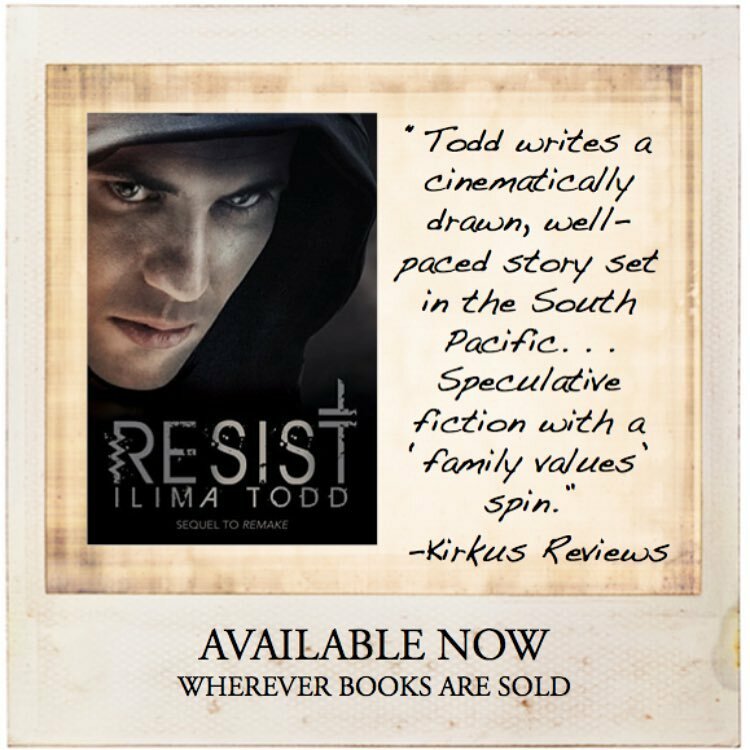 While you're there, don't forget to add Resist to your To-Read list...it comes out July 5th along with the Simon Pulse paperback and audio cds of Remake. It's gonna be a busy summer! 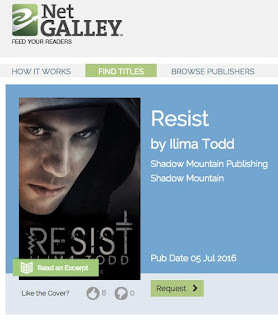 Also, Resist is up on NetGalley so if you're a book reviewer, you can sign up to get a review copy there. Won't you fly with me? Red Queen meets Shadow and Bone in a debut fantasy about a girl forced to use her gift for sensing—and absorbing—other people’s feelings to protect the empire from assassins. 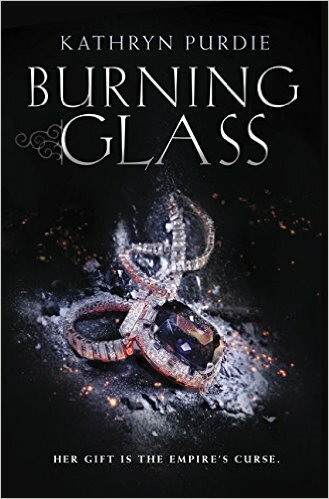 Steeped in intrigue and betrayal, Burning Glass captivates with heartrending romance, dangerous magic, and one girl’s quest for redemption. In Riaznin, it’s considered an honor for Auraseers like Sonya—girls with a rare form of synesthesia—to serve as the emperor’s personal protector, constantly scanning for feelings of malice and bloodlust in the court. But Sonya would rather be free. After the queen’s murder and a tragic accident, Sonya is hauled off to the palace to guard a charming yet volatile new ruler. But Sonya’s power is reckless and hard to control. She’s often carried away by the intense passion of others. And when a growing rebellion forces Sonya to side with either the emperor who trusts her or his mysterious brother, the crown prince, Sonya realizes she may be the key to saving the empire—or its greatest threat. You can purchase it anywhere books are sold, and here's a quick link to buy it from The King's English where you can order a signed copy. 150 cupcakes and swag on the display table I helped set up. Emily King did all the amazing legwork! Dinner with writer friends before the event. So much talent in this room! Quick shot with Katie at the restaurant and her gorgeous book. 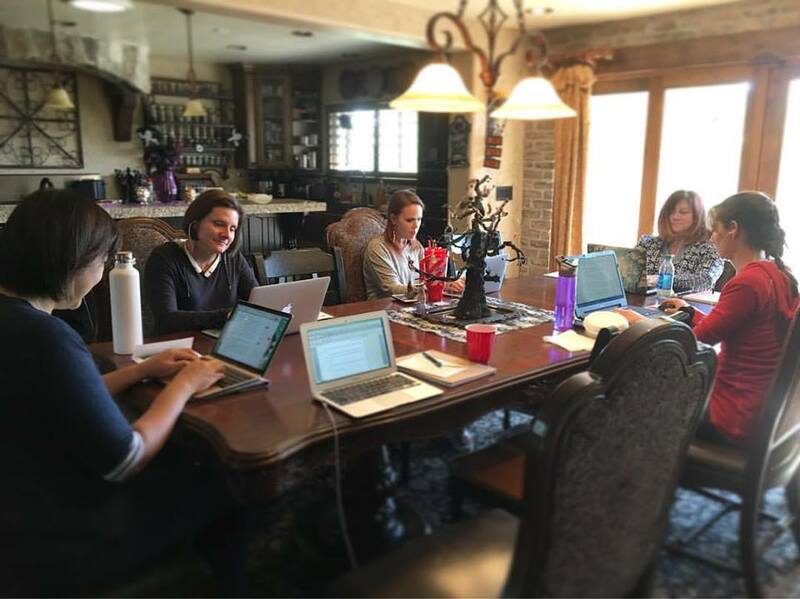 Katie shared several pics of our critique group. So many great memories over the years! (which isn't out for 4 more months). Erin Summerill won! and her sisters Sadie(writer) and Daisy(beta reader). They came all the way from California and Logan to support Katie! CP love. We miss you, Robin! Stay tuned to the blog because I have some Remake series related coming up soon!! Can we go on like it once was?